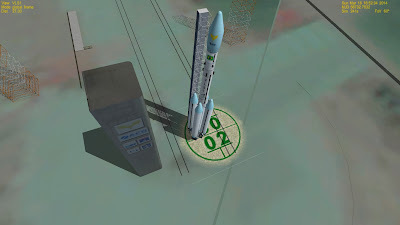 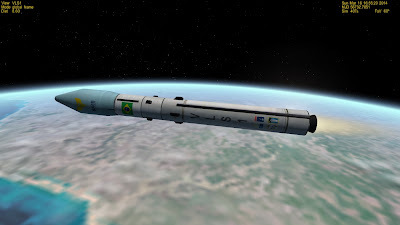 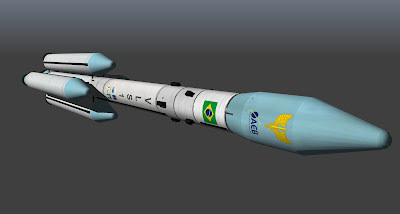 I've finished modeling the VLS rocket. 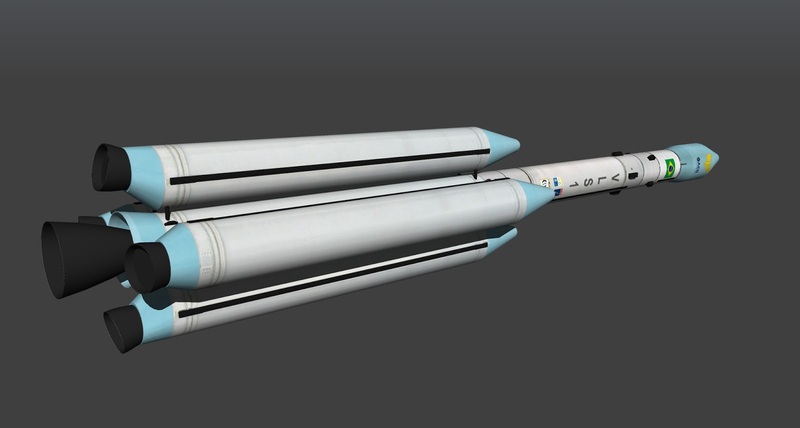 Here's what it looks like in SketchUp after texturing! Very consistent. 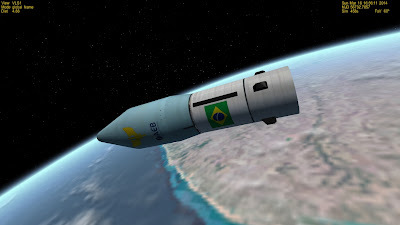 I'm using the DX9 renderer, and I've yet to add normalmaps! 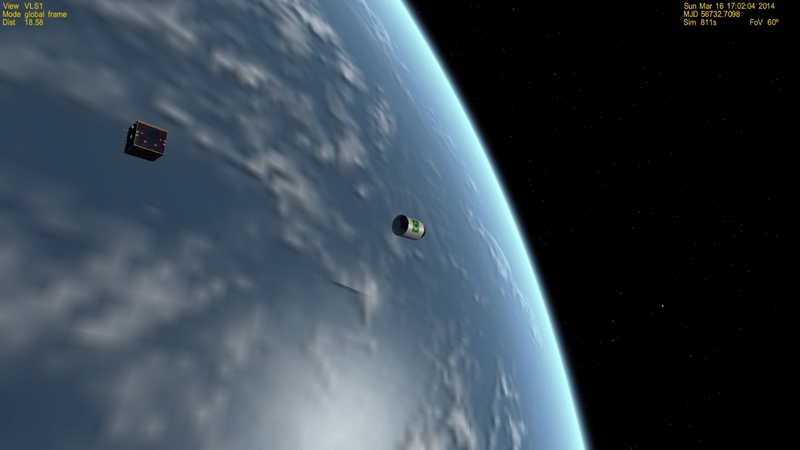 As I'm happy with the way it looks already, here's an image sequence of a test launch. 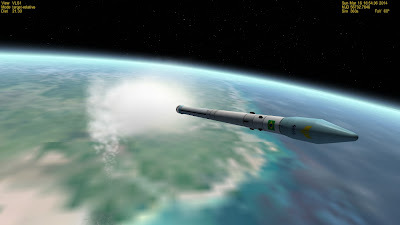 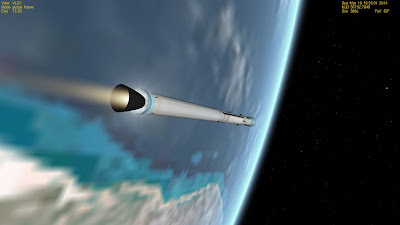 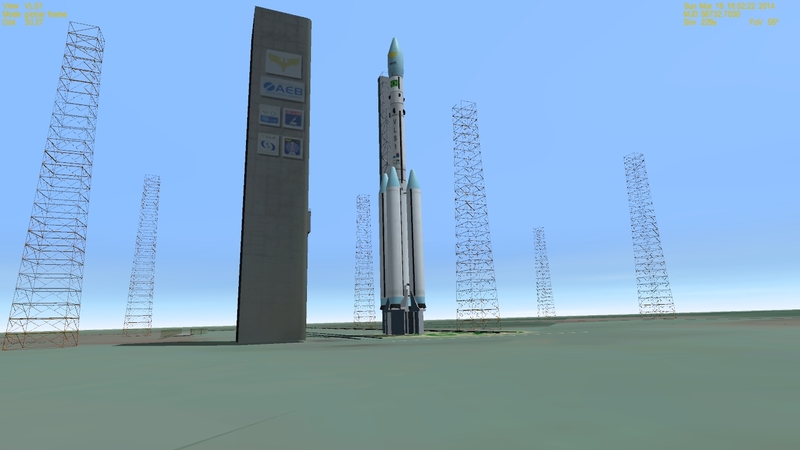 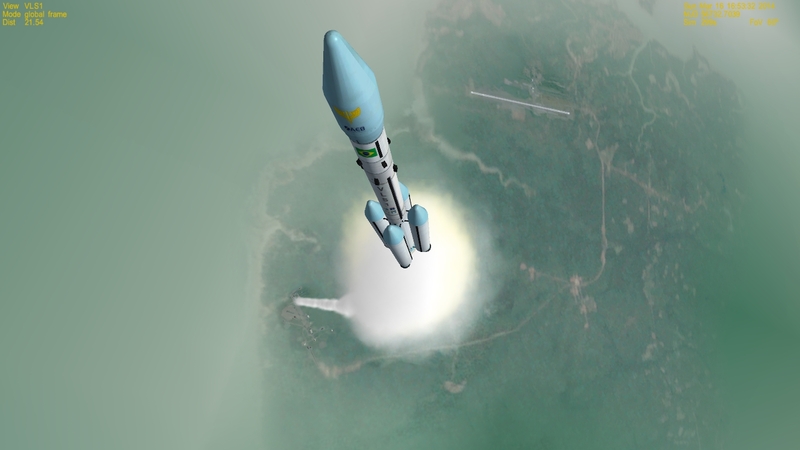 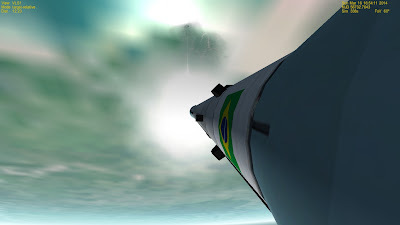 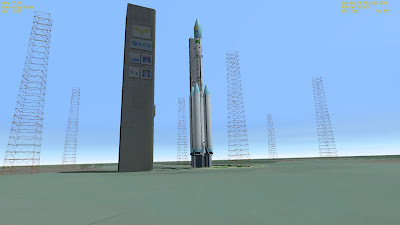 VLS rocket ascending on first stage. 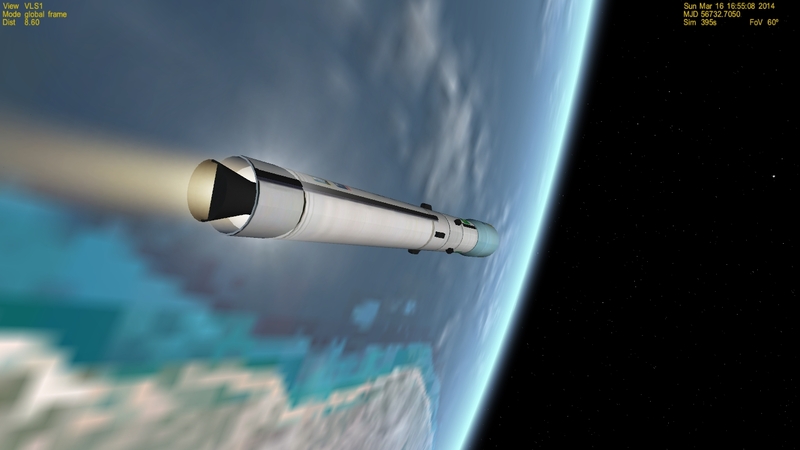 This configuration was the basis for the early VLM project. A small satellite is successfully released in orbit!